Yahoo’s cofounder had a big role in Google’s success. Larry Page and Sergey Brin, who built their Google search engine prototype while at Stanford University, wanted to try to licence out their technology to other companies, so they showed it to Stanford alumni David Filo, who had started Yahoo.com. Filo recommended launching a search site themselves based on their technology, instead of licensing it. He even eventually introduced them to venture capital firm Sequoia Capital’s Michael Moritz, who became one of Google’s original backers. Apparently, some of those conversations happened in Filo’s beat-up old car. 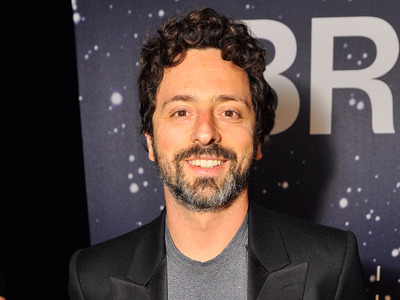 Brin called Filo out on Friday as a person who has had one of the biggest impacts on his life, professionally and personally, during an interview at the Global Entrepreneurship Summit, at Stanford. Brin, appearing on stage in a pair of Crocs, cracking jokes and casually spitballing on quantum mechanics and nanotechnology, seems to have taken Filo’s example at least partially to heart. That said, Brin does co-own several private planes, a fancy new Tesla, and, according to a Bloomgberg report last April, employs at least 47 people, including a yacht captain, a fitness instructor, a photographer, and an archivist, through a family office called Bayshore Management to help run various aspects of his life. alphabet careers david filo google sai-us sergey brin transportation warroom yahoo!